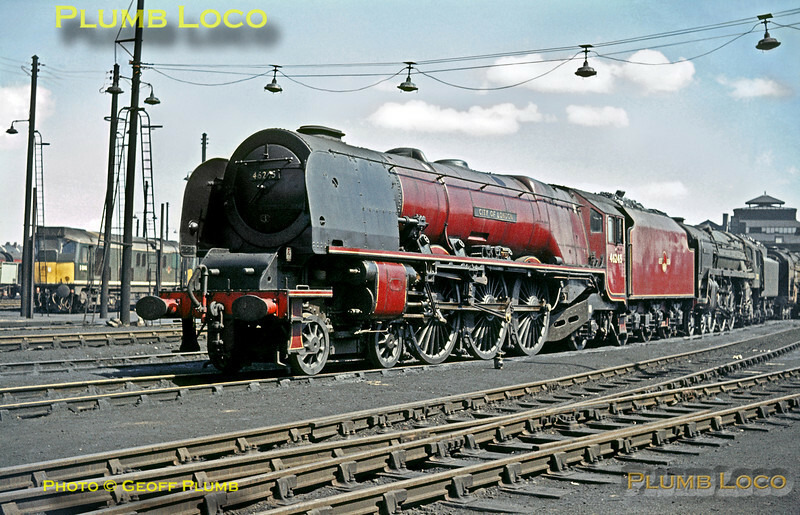 LMS Stanier "Princess Coronation" Class 4-6-2 No. 46245 "City of London" in nicely clean condition at Willesden MPD, Sunday 3rd May 1964. Immediately behind is BR Standard 4-6-2 No. 70021 "Morning Star" with another "Brit" behind that. In the background is a Class 24 Bo-Bo Diesel, possibly D5104, in original green livery. Slide No. 632.